won her the rose pattern. Pearly Queen is in France and can be found at the of the Violet White blog. Her guess was: a case for crochet hooks, which was precisely correct. 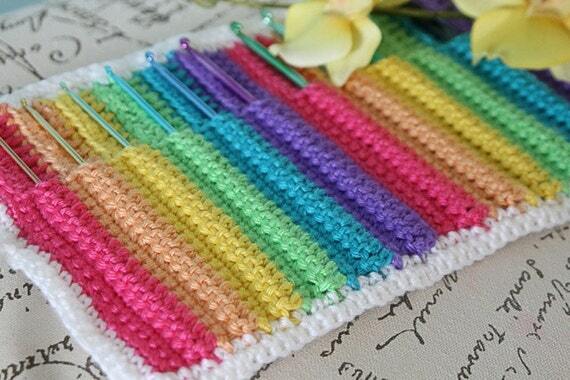 I have named it the "Crochet Hook Jelly Roll". I picture that the cream colored yarn as cream cheese, yum! Oh well, some things in life should be easy, right? I think I should have started with this one. but a few crochet accessories, as well. 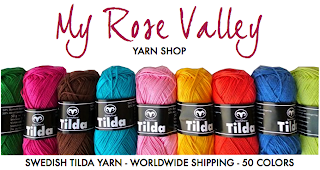 Tilda yarn from My Rose Valley. "The Love Knot Crochet Hook Organizer"
How about a prize for the first person to enter the correct guess into the comment section of this post? If no one guesses within 24 hours then another photo clue will be posted and so on and so forth. 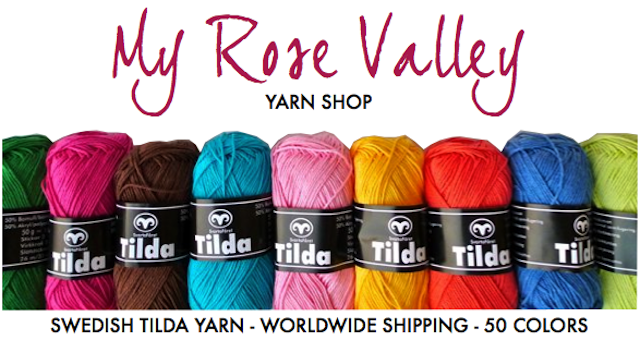 your choice of three of the Tilda roses from this post or the pattern to make your own roses. I would have started years ago. I had no idea the friendships that could be borne of cyberspace. as a reference to look back on now and again; a diary of sorts. I had no clue anyone would be interested in my blog and ideas, let alone become friends. What a glorious experience it has been! One such friend that I am thinking about at this time is Sandra in Switzerland. A talented and creative writer, crafter, teacher and photographer. Her blog is called Reflections and Nature and is definitely worth checking out. We have bonded over crocheted roses and a lace clock. I can't stop looking at it; it makes me so happy. Sandra has posted about it here. Clicking on the photos will also take you to her post, as well. as she also purchased one of my lace clocks without the roses. Sandra has her own plans for the clock. So happy to have "met" you! To coordinate with her kitchen colors. We love the way way these can hang from the faucet to dry. Pattern found here and here. 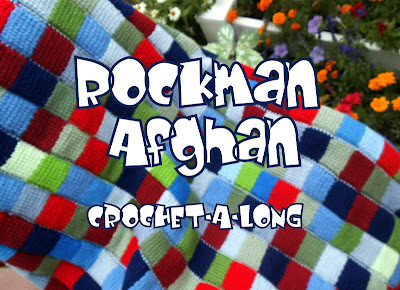 100% Cotton Yarn by Sugar 'n Cream. ...at least past the top of the fence. He better prepare to hide the scent of that English blood. It's grown a foot in two weeks! I hope your weekend is Fum! Devi's Food cupcakes with a hole punched in the middle with the end of a wooden spoon. Caramel syrup drizzled into the hole. More caramel syrup added to chocolate cream cheese icing. Tops sprinkled with coarse sea salt. wrapped in happy wrapping paper. and an arrival in early November. Yarn is 100% washable wool from Knit Picks and Bernat Country Garden. Sewn into a pillow with a little stitched yarn detail. 1 row of 1 sc, 1 ch, repeat. Then two rows of dc. It's a glorious day when one of your own would like to learn to crochet. A day I had hoped for, for years, finally happened. who lives in Keller, Texas with her lovely family. She expressed an interest in the dishcloths I was working on. She had dabbled with a few stitches many years before so I handed over some yarn and a hook, a little instruction and before you know it she was single, half-double and double crocheting her hands away. So a package is in the mail for her. A gift for her to continue practicing. And she'll be ready to make some dishcloths to coordinate with her kitchen. Have you ever had a willing participant? 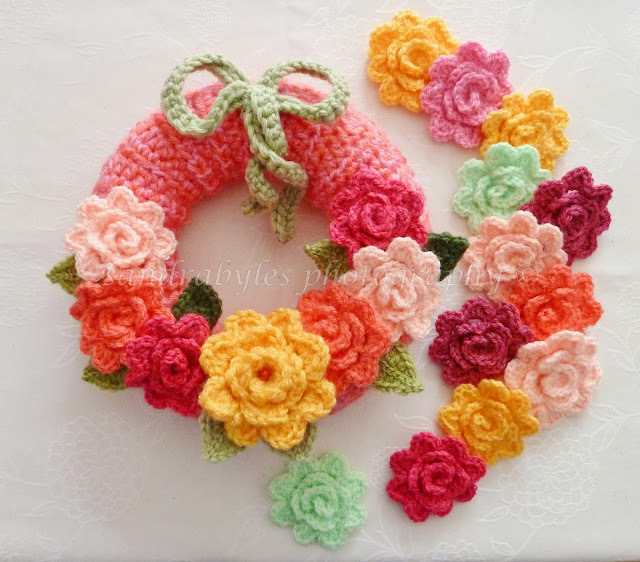 Sometimes I wonder if I should change the name of my blog to "Rose Blossom Dreams". Roses aren't my favorite flower, although I do like them and I am starting to love them. Apple Blossoms are not my favorite either, but they sure are pretty. They are so short-lived and that makes me sad but maybe that's what makes them special. Oh and my favorite flower... tulips; hollyhocks and peonies are pretty cool too. So I do not know exactly what prompted this three year long "rose" kick. 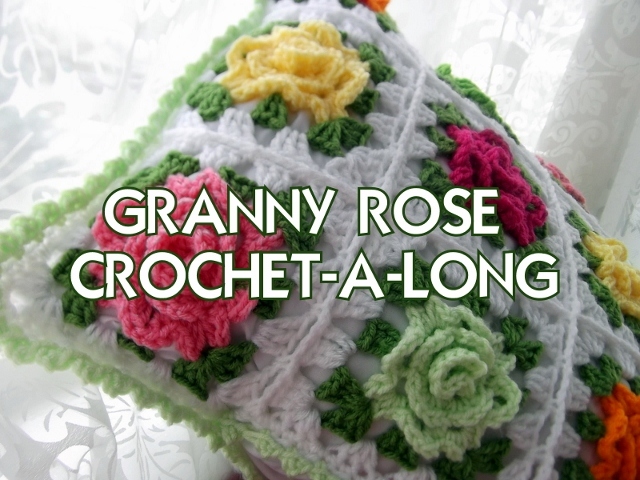 Perhaps it was the popularity of the Granny Rose projects and all the camaraderie they instilled. Oh well, the madness continues and I see no signs of it stopping. So with that I will leave you with a double "rose" post. 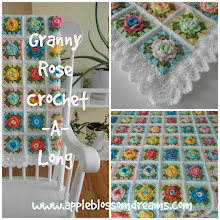 Her post referred to tea and some crocheted rose-hips. And seeing how it's been quite hot out, I thought iced would be in order. two types to be exact. I like the word "Nype" it's likely German, but the same in Norwegian. And there you have it: tea for more than two. I love the tartness of this special tea. I understand that it is high in Vitamin C, too. 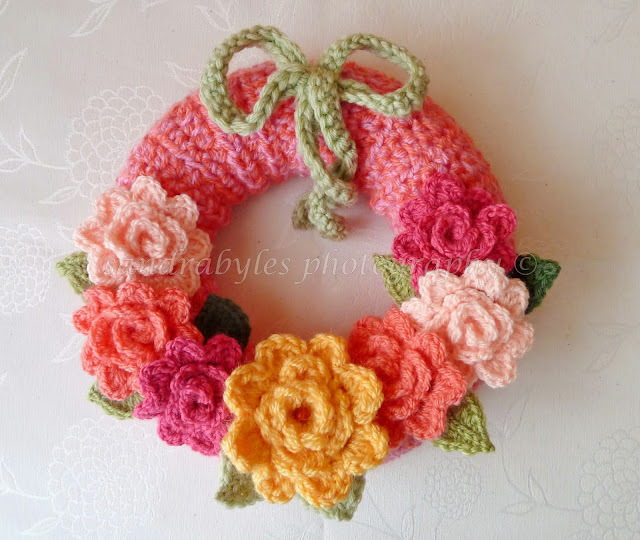 Oh, and the rose pattern can be found here.